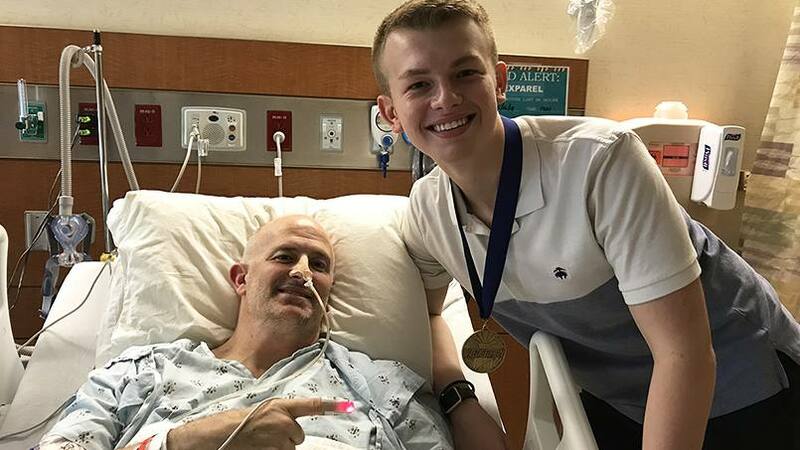 Dan Anderson had planned to make it to his son Knowlton's graduation ceremony despite a recent surgery. When complications arose, a Mayo staffer stepped in to give Dan the next best thing. 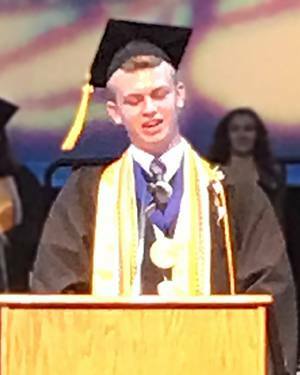 Dan Anderson watched proudly as his son Knowlton stepped up to the podium and delivered the valedictorian speech at Douglas Anderson School of the Arts in Jacksonville, Florida. Watching Knowlton give the speech "meant more than I could have imagined," Dan tells us. "That's the kind of thing you don't want to miss." Just a few hours earlier, it had looked as though he would. As the rest of his family — including wife, Leslie, and older son, Camden —­ made their way to the ceremony, Dan lay in a hospital bed at Mayo Clinic's Florida campus. Back in April, he'd been diagnosed with colon cancer and told he would need surgery to treat it. He'd scheduled the procedure for mid-May to fall between Camden's graduation from the University of Florida and Knowlton's high school graduation. But he developed complications after surgery and was still in the hospital when Knowlton's big day arrived. "I'd told my attending physician that I'd love to get out of the hospital for graduation, and he said we'd have to play it by ear," Dan says. "The day of his graduation, I got pretty sick and knew there was just no way I'd be able to make it." Knowlton Anderson gives the valedictorian speech at his high school graduation while his father watched from his hospital room. Enter Ron Porter, a media systems engineer at Mayo. 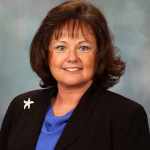 Porter's official duties involve maintaining video systems on Mayo Clinic's Florida campus. But over the past few years, he's begun using his talents and Mayo's technology to do something beyond that, connecting hospitalized patients to milestone events like weddings, graduation ceremonies and even a funeral using telemedicine equipment and a telephone app. So when he learned that Dan was going to miss his son taking the stage, Porter began doing some staging of his own. "Ron came in around 5, after my family had left," Dan tells us. "He rolled a tech cart into my room and worked with a friend of mine to text a link to my wife so she could download an app onto her phone." When the graduation ceremony started at 7 p.m., Dan's seat in the auditorium may have been empty, but thanks to Porter's efforts, his heart was full. "I was able to watch the whole thing," Dan tells us. "It was pretty awesome." Porter, who stayed nearby throughout the ceremony to troubleshoot if needed, agrees. "It's extremely satisfying to give some families the opportunity to observe or take part in a significant event in their lives," he says. It's a gesture he believes epitomizes Mayo's philosophy that the needs of the patient come first. "I place these events above everything else," he tells us. Which means a great deal to families like the Andersons. "All of the people who have helped us and continue to assist our family are angels on earth," Leslie Anderson tells First Coast News. "We are just one story, but it is our family, and this means so much to us." It would mean so much to us if you'd share your thoughts below. Then use the handy social media tools atop this page to share this story with others. Thanks, Ron Porter and Mayo Clinic, for making this happen!